Can You Deduct the Premium Payments For Your Personal Disability Insurance Policy? | Passive Income M.D. Home Insurance Disability Insurance Can You Deduct the Premium Payments For Your Personal Disability Insurance Policy? Can You Deduct the Premium Payments For Your Personal Disability Insurance Policy? Just like every other type of insurance you can have, disability insurance is one you hope you never need. However, I think it’s something every young physician needs to address early in their career or training. We’ve invested too much time and money thus far to not have a backup in case of an unfortunate circumstance. So any chance I get to talk about disability insurance, happy to bring it up the conversation. In today’s post, one of our highly recommended insurance agents, Larry Keller from Physician Financial Services, answers a common question from readers. It is a fact that many physicians own personal disability insurance policies to protect their most valuable asset – their ability to earn an income. However, I have noticed a great amount of confusion among them as to whether they can deduct the premiums that they pay for their coverage. This article will provide you with a brief overview as to the rules surrounding your ability to deduct the premiums that you pay for your personal disability insurance. Disability income insurance can be purchased personally by the insured or through an employer. As a general rule, when an individual purchases coverage for his or her own benefit, premiums are not deductible for federal income tax purposes (IRC § 213, 262 § 265). However, as a result, this means that benefits will be received income tax-free (IRC § 104 (a)(3)). The situation becomes a bit more complex when coverage is purchased through an employer, depending primarily on the form of the business and ownership status of the insured. For example, if a Sole Proprietor purchased a policy to replace his or her own income, it would not matter whether the premium was paid from the personal or the business account. The premium is non-deductible, and benefits are received tax-free. A Partnership or S Corporation may deduct premiums for disability income coverage paid on behalf of a partner or 2% plus shareholder/employee. This is allowed under current IRS rules (Revenue Ruling 91-26), provided these payments qualify as “guaranteed payments” and consideration for services rendered. However, the partner or shareholder must include such premiums as part of their taxable income. As a result, benefits paid under the policy are received free of income tax. In a C Corporation, owners (shareholders) who work in the business are also considered to be employees. Therefore, the corporation can deduct premiums paid but the premiums will be considered a compensation bonus and thus, taxable to the shareholder. Again, as a result, benefits paid under the policy will be received free of income tax. 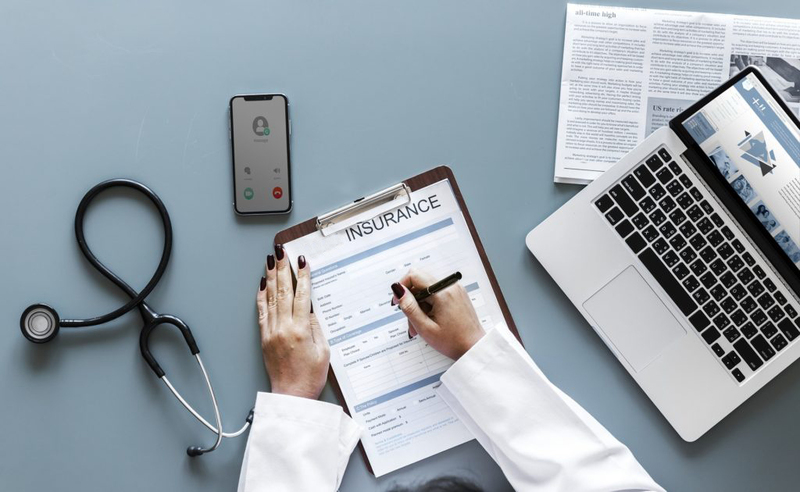 As a result of the above, a good rule of thumb is that premiums paid for an individual disability insurance policy where the physician is both the insured and policy owner, they cannot deduct the premiums paid for a personal disability insurance policy. 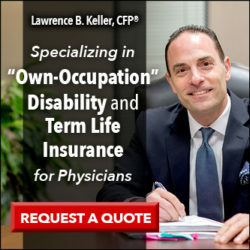 Lawrence B. Keller, CFP®, CLU®, ChFC®, RHU®, LUTCF is the founder of Physician Financial Services, a New York-based firm specializing in income protection and wealth accumulation strategies for physicians. He can be reached at (516) 677-6211 or by email to Lkeller@physicianfinancialservices.com with comments or questions. Thanks for clearing that up Larry. Anything the government gets their hands on just seems to get more complicated as proven above. Is this the same rationale why life insurance payouts are tax free to an individual since the premiums are paid with after tax money?